One of the easiest ways of boosting your website to the top of the search engine list is PPC marketing. This also known as pay per click advertising. PPC can cost dimes and nickels to full budgets of thousands of dollars a day. It's really matters how competitive your market is and how much you know about internet marketing. The more search competition there is, the more it's going to cost you. Paid search is an advertising method to gain a sponsored listing on top of search engines. These sponsored listing is cost differently depending on the position of the page. Most PPC click is text based, but do also support banner advertising. You are then charge with a PPC model or paid per click. This is when no mater what the user does on your site, if they click on your ad you are going to get charged for that user. It works on a bidding system, the highest bidder gets the ranking. The bidding is on a per keyword bases. This means if you're going to bid $1 on the keyword "web hosting". You are going to get beat out by the guy that is bidding on "web hosting" for $10. This is the basic principle of pay per click advertising. Once your bid is locked in and you are serving up ads. You will be charged for every user that clicks on your ad. This does not matter how long they stay or if they convert. You will be charged. Don't think you can run up the bill on your competitors by clicking their ads all day, they have ways of filtering this. Pay per click advertisers are constantly in a bidding war with each other. Your advertising placement can change through out the day. If you bid higher in the morning for the top stop, then someone out bids you later that day. Your listing will come down. It is a constant battle for the highest advertising spot. The higher the position, the more visitors for a chance at better conversion. Now for a more advanced topic on PPC marketing. Each of your ads will be given a quality score. Depending on how your write your ad and where you send your users can change your advertising costs. If you are bidding $1 and you write an engaging advertisement that is getting better clicks that other advertisers. You will be award that same position for a smaller amount like $.80. Now these numbers are imaginary but it gets my point across. This is a way to battle huge companies with a smaller budget. It doesn't only involve the click through rate. It is also determined by the wording in your advertisement, the landing page, and the content on the landing page. Keeping all of the elements relative to each other will give the right step of getting a high quality score. For your PPC campaign keyword research is critical. You need to not only find keywords that people are searching for. But keywords with buyers intent. Ones that gear people to convert on your website. If you are playing for these advertisements you need to get some type of value back. It doesn't necessary need to be selling a product or service. You could be building an email list or gain leads. These types of things don't bring value now, but will later. You get the picture, it's not all about who has a bigger pocket book. It's about having the correct budget, relative ads, and keyword buying intent. Another strategy to use is finding long tail keywords that others are not bidding on. Finding types of keywords that are relative to your business could be a gold mine. These keywords can run as low as $0.10 a click for a search engine top spot. 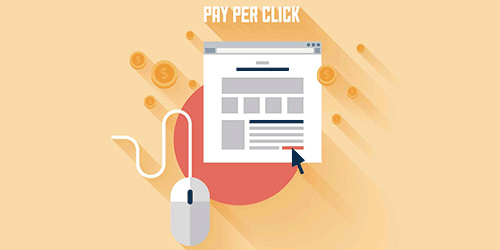 The hardest thing about PPC is that it is scary and challenging to get a hold of. Everyone goes through a period where they spend too much money for the result they get. One point of advice is to search around and look for some PPC coupons and promotions. This is a great way to have some free cash to play around and get a feel for PPC marketing. Is this all effort worth it? I know advertising your business is really important but I would rather have interested people visit it, people who might actually buy my products. I think using a cpa network would be more effective if you really want to address the right people, at least this is what worked for me. hey that is really useful post for Beginners in PPC and internet marketing ..!